Dubai: The incidence of high blood pressure has nearly doubled among UAE residents over the last six years, the results of a countrywide National Health Survey (2017-2018) has revealed. The results reveal that nearly 28.8 per cent people suffer from high blood pressure as against 14.7 per cent in 2010 and the federal health ministry is considering passing a legislation to reduce the consumption of salt and saturated fats. 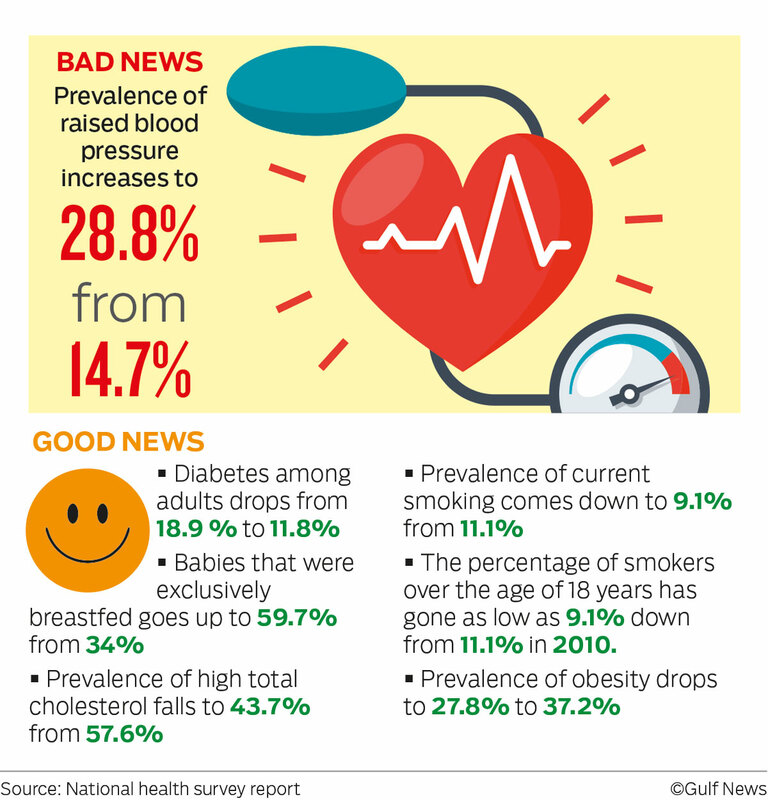 The survey covered all vital health issues that are impacted by lifestyle and measured vital parameters like diabetes, cholesterol, obesity, smoking, besides breast-feeding. Nearly 50,000 people from across all nationalities, including Emiratis, were covered in the survey which was kicked off in October 2017 under the theme “My health my priority’. The survey focused on a minimum of five members in 10,000 families. The Ministry of Health and Prevention conducted the survey in accordance with the principles and approval of the World Health Organisation (WHO). Presenting the results of the NHS (2017-2018), Dr Hussain Al Rand, Assistant Undersecretary of Health Centres and Clinincs at the Health Ministry attributed the rise to greater awareness and vigilance on the part of the people. Based on survey outcomes, we will tweak strategic health indicators and enactment of health policies in line with the health strategy 2017-2021. The NHS, which is conducted once every five years, has had a high response rate of 94 per cent, said Dr Al Rand. The results of the present survey are being compared to the results of the NHS (2010-2011). At least five members in a family, that included the parents, children from one-five years and adults 18 and above, were interviewed through a detailed questionnaire that had a diverse group of health indicators comprising physical activity, diet, screening for cervical cancer, physical measurements, readings for diabetes, cholesterol, cardiovascular diseases and use of tobacco. Dr Rand expressed delight that on most parameters, the survey indicated a decline in prevalence of disease showing that the nation was on track with the National Health Agenda goals of 2021 and sustainable development goals of 2030. “Based on the survey outcomes, we will now tweak several strategic health indicators and enactment of appropriate health policies in line with the Ministry of Health and Prevention’s health strategy 2017-2021. 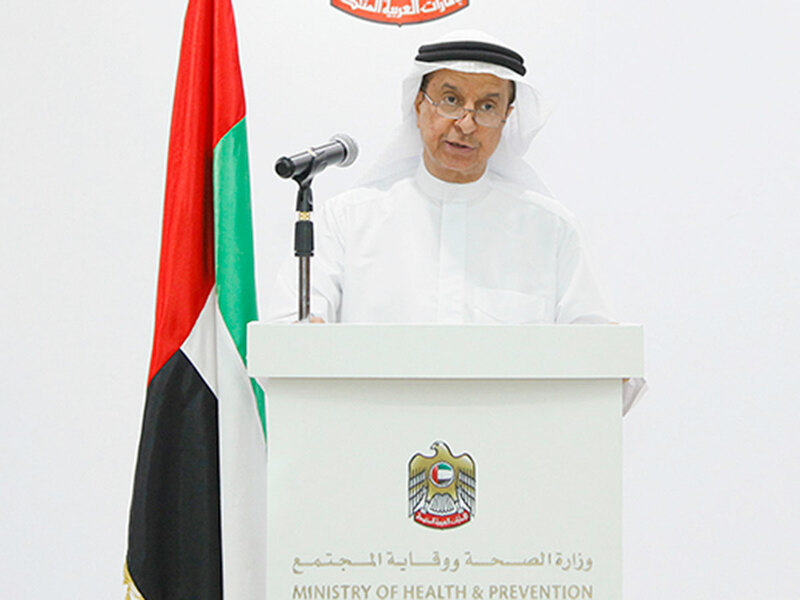 Ministry of Health and Prevention’s latest National Health Survey showed that UAE residents, both Emiratis and expats, have made a marked improvement on most health parameters. The last survey was conducted under the theme ‘My health is a priority’ and covered 10,000 families. It recorded a high response rate of 94 per cent.